Leatherwood Antiques Sandwich, Mass. 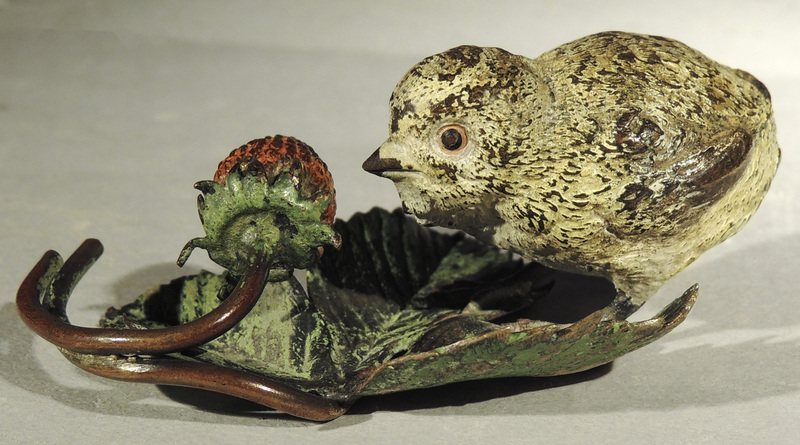 508-420-1433 info@leatherwoodantiques.com www.leatherwoodantiques.com Cold-painted Vienna bronze baby chick exploring the strawberry, circa 1900, measuring 1-inch-high by 2½ inches long by 2¼ inches deep. See website www.leatherwoodantiques.com under Vienna bronzes — whimsical.